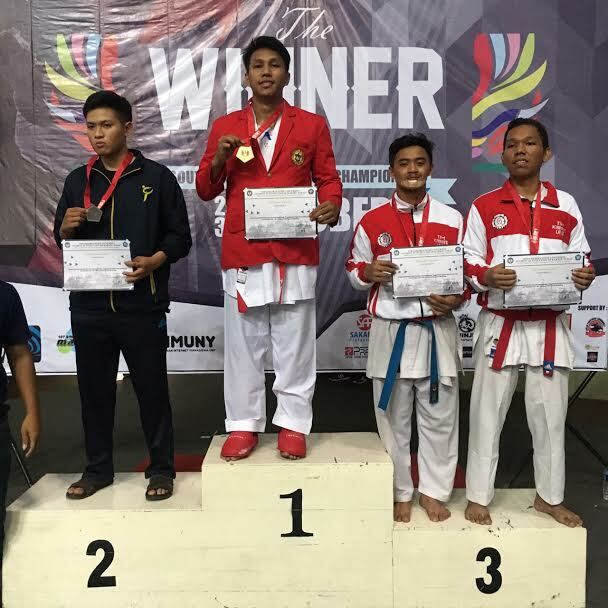 Universitas Hasanuddin once again was able to attain a milestone of achievements by snatching one gold and two silver medals for the South Asian Karate Championships. The gold medalists from Unhas whom won the Kata Beregu, were admitted through the POSK (Sports, Arts, and Reasoning) enrollment pathway in 2016. They include Muh. Yusni, JW Karatong, and Muh. Tama Herdiansyah. Meanwhile the gold medal of Kumite 75kg was attained by Feby Ramadhan, that happen to also be a batch 2016, enrolled in Unhas through POSK. The Silver medal was taken for the Kumite 55kg under the name of Ifka Widyasariyang, also a POSK accepted student of 2016. Unhas only sent a small team, compared to other states such as Philippines that sent 15 delegates. The event that was conducted in Universitas Negeri Yograkarta from 29-30 October 2016, and attended by approximately 700 delegates from a number of universities in Indonesia and Philippines.